nuun is the official hydration partner of the 3M Half Marathon. They know a thing or two about hydrating athletes. The experts at nuun are constantly gathering information about how athletes can better fuel their bodies. This blog post was written by the experts to educate athletes and provide them with the information needed to be successful during training and racing. Most people think that the main purpose of hydration is to help prevent dehydration (and to replenish electrolyte stores that may be lost via sweat). Although both of those are true (recent studies have shown that electrolytes may play greater roles in fluids absorption than sweat replenishment), the fundamental goal of hydration is to deliver oxygen to working muscles. Try to think about the fluid you are consuming as a way of helping your muscles breathe, which in turn gives them the energy they need to perform. Yes, you read that correctly! While water does fundamentally provide your body with fluid, it does not truly hydrate you. Water needs to be in a specific concentration (composing of carbohydrates and electrolytes) to exit the stomach and move into circulation where it can be used by the body. Our water needs to contain sodium to ensure proper fluid absorption. To make matters even more complicated, your “water” should contain different amounts of carbohydrates and electrolytes before/during/after your workout! It is highly recommended that rather than using tap water, you purchase a filter to ensure all the bad chemicals are removed from it. Having a look a sites such as reviews by Best Products Pro to help you find the best and most beneficial filter possible. To put it simply, when you are exercising, your body (stomach) is under stress. There are ways you can eat and drink to mitigate that stress or to encourage it. When it comes to hydration, if the ratio of carbohydrates to fluid is too high or the electrolyte profile is too low, the delivery of fluid slows down and sits in the stomach. That’s what causes sloshing and GI issues during racing. This builds on the previous point. With proper hydration you can help eliminate the GI issues that can come with it and allow faster and more efficient fueling. This is achieved by not overloading your system and using multiple pathways to absorb fluids and carbohydrates. One area that is very crucial to the recovery process is rehydrating. Rehydrating not only replenishes fluids lost during exercise, but it also aids in replenishing the electrolytes that were also lost. Keep in mind: drinking too much too fast can degrade the potential gains of the workout, here’s why: your body, over time, has developed a strong immune system that helps repair itself when it is under the stresses of exercise. Therefore, naturally you want your body to begin repairing itself, slowly rehydrate, and continue to hydrate throughout the day. nuun hydration is our official hydration partner. Head over to nuunlife.com to stock up and train with what will be on course. High Five Events, one of the largest privately owned event production companies in the United States, is excited to announce a two-year agreement between the 3M Half Marathon and nuun and company, the pioneer of electrolyte enhanced drink tablets that turn water into an optimally balanced sports drink. The 3M Half Marathon will take place on January 21, 2018, and feature nuun’s signature electrolyte-enhanced tablets at all aid stations. 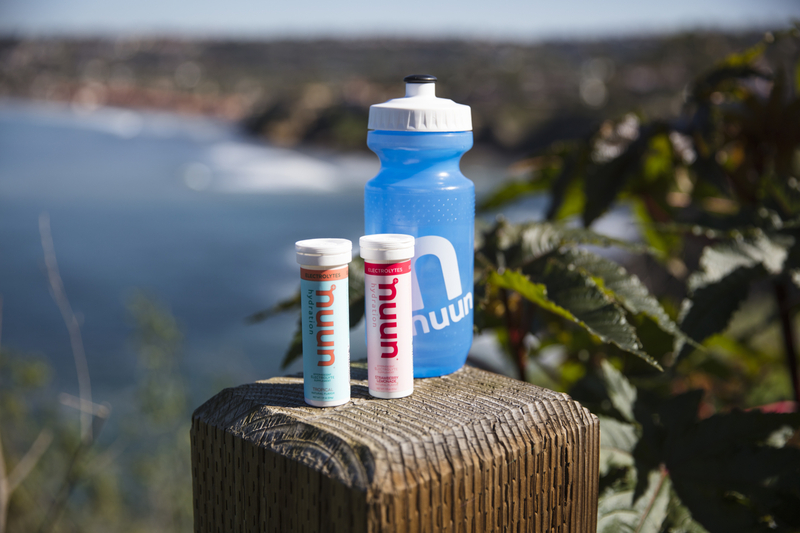 As the exclusive hydration for the 3M Half Marathon, nuun will provide nuun electrolyte tablets (lemon-lime and tri-berry) to all participants on course. The tablets are growing in popularity within the endurance community because they’re packed with electrolytes and are more easily absorbed during peak performance. nuun will also be available at the start and finish lines. In addition, nuun and the 3M Half Marathon will increase community engagement and product awareness by offering free samples and product discounts, sampling nuun at running stores, and supporting various demo runs around Austin.